BASELWORLD Press release, April 2, 2009 – After eight successful days, BASELWORLD 2009 closed its doors today, once again reaffirming its position as the leading international watch and jewellery trade show. On a site covering approximately 160,000 m2, 1,952 exhibitors from 45 countries showcased their latest products and innovations. Exhibitors and visitors alike spoke enthusiastically about their experience at the show and the business they did. 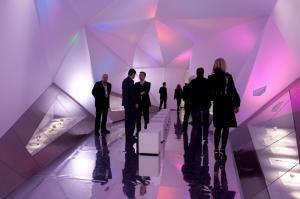 Thanks to this sense of positi­vity, both exhibitors and visitors forecast new prospects for the industry as a whole. Watch and jewellery manufacturers and representatives from related industries have been showcasing their exclusive new products and premium collections at BASELWORLD over the past eight days. With its unrivalled vibrancy, BASELWORLD proved once more its immense importance to all exhibitors as the absolute highlight of the watch and jewellery industry’s calendar. The show’s good atmosphere and the satisfaction of the buyers also comes across in the survey conducted on behalf of BASELWORLD. Like last year, of those questioned, three quarters rated BASEL­WORLD 2009 as either good or excellent. 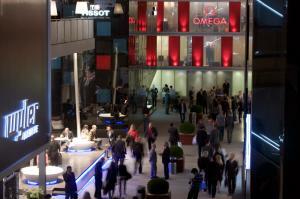 As many as 78% of visitors in 2009 stated: “BASELWORLD is a must”. What has been on offer at the show, in all of the exhibition halls, has been judged to be of an extremely positive quality. 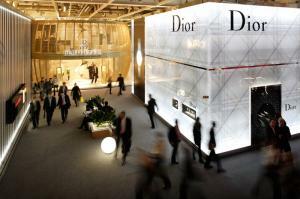 68.1% of those who visited BASELWORLD were from overseas (compared with 63.6% in 2008). 71% of those visitors questioned confirmed that they also intend to visit BASELWORLD next year; thus emphasising the strong ties the show has. When asked, those questioned said that the main goal of their visit to the watch and jewellery show was to gain an overview of the market. This was followed by networking, customer care, meeting new clients and information gathering about market innovations. Orders were slightly down on the previous year due to the global economic crisis. 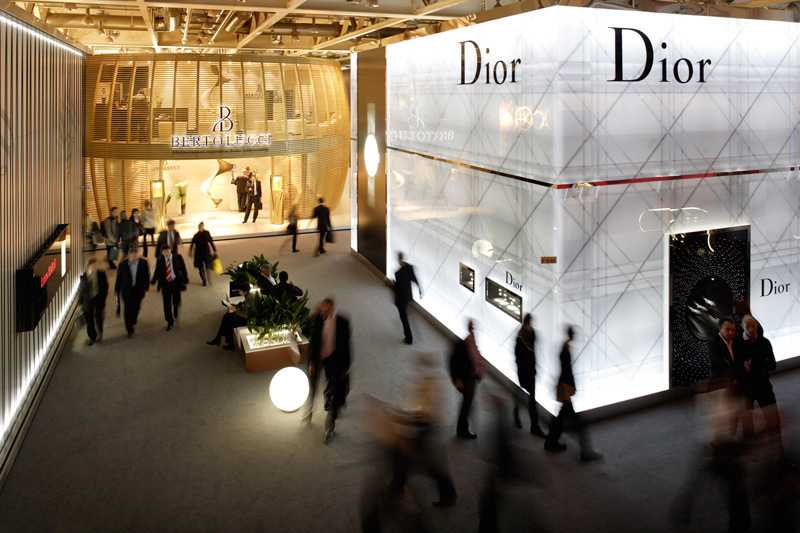 With 2,973 accredited journalists covering the trade show, the impor­tance of BASELWORLD to the entire luxury goods industry has also been underlined. All major trade publications, hundreds of lifestyle magazines, daily newspapers, the online media and numerous TV stations from all over the world, have given coverage to BASEL­WORLD and to the collections and innovations which have been on display over the course of the last eight days. 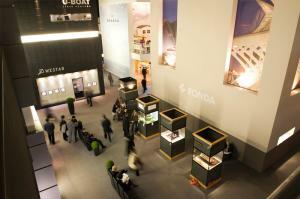 BASELWORLD 2010 – the World Watch and Jewellery Show – will be held in Basel, Switzerland, from March 18 – 25, 2010.